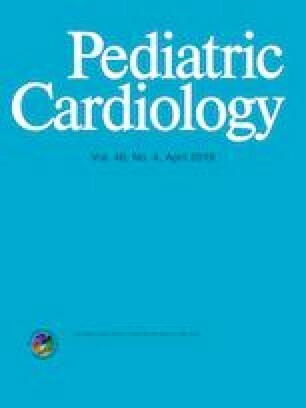 The aim of this study was to describe pediatric patients who underwent early postoperative cardiac catheterization after congenital heart surgery, their clinical indications, findings, interventions, and complications in a cardiovascular center. A descriptive retrospective study was performed. All catheterizations performed within 6 weeks after congenital heart surgery between January 2004 and December 2014 were reviewed. We analyzed 101 early postoperative catheterizations. They were performed on median postoperative day five (IQR: 0–39); the median age was 64 days (IQR: 22–240). The most common diagnoses were single ventricle (53%), left heart obstruction (12%), and tetralogy of fallot or pulmonary atresia with ventricular septal defect (11%). Most common indications were persistent cyanosis (53%), low cardiac output (24%), and residual defect on echocardiogram (20%). Most frequent findings during the catheterization were pulmonary artery stenosis (29%), surgical conduit obstruction (12%), and coarctation or hypoplasia of the aorta (11%). Forty-six (45%) procedures involved intervention. Most frequent interventions were pulmonary artery, aorta, and Blalock–Taussig fistula angioplasty with or without stent implantation. There were adverse effects in 11 cases (11%), and 30-day mortality was 28% (28 patients) with the majority unrelated to the catheterization directly. Although early postoperative catheterizations are high-risk procedures, they are currently a very good option to solve acute problems in critically ill patients. This study provides relevant information for a better understanding and approach to this complex group of patients. All authors: Concept/Design. AME-DdC, MCE-D: Data collection. AME-DdC, MCE-D, EMCA: Data analysis/interpretation. AME-DdC, MCE-D, EMCA: Drafting article. All authors provided a critical revision of the article. The authors declare that they have no conflict of interest and received no financial support. Ethics board approval was obtained and a waiver of consent was granted due to the retrospective nature of the review.